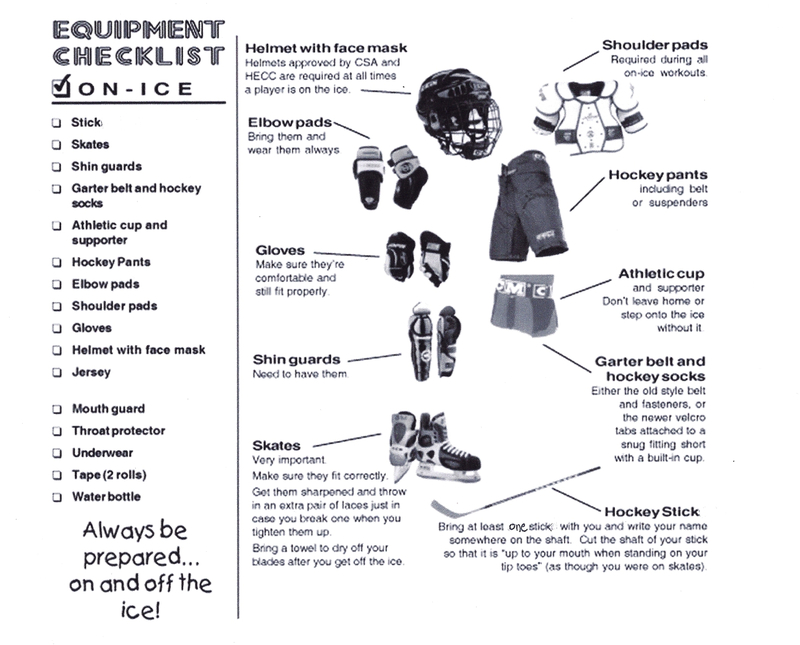 Full hockey equipment is mandatory, beginning with tryouts. This includes stick, skates, gloves, shin pads, shoulder pads, elbow pads, hip pads or padded hockey pants, approved HECC approved helmet and full facemask. Bantams and Midgets play checking hockey and must wear a mouthpiece at all times while on the ice. LBYH strongly recommends neck and mouth guards at all levels. The LBYH program provides a team jersey and socks to be worn at all games. USA Hockey has created a video that shows the proper equipment and how to put it on. To watch this video, click here.